Many gardeners incorporate perennials in their garden. Coneflowers are one of the most popular choices because they are easy to grow and come in a variety of colors and sizes. In the summer and fall, they are full of color on tall stems. In winter, they are seedpods, readying to grow in the upcoming seasons. Seedpods are also great food for birds so that you may notice a variety stopping by for a bite. It is a perennial wildflower that grows in zones 5 to 9. 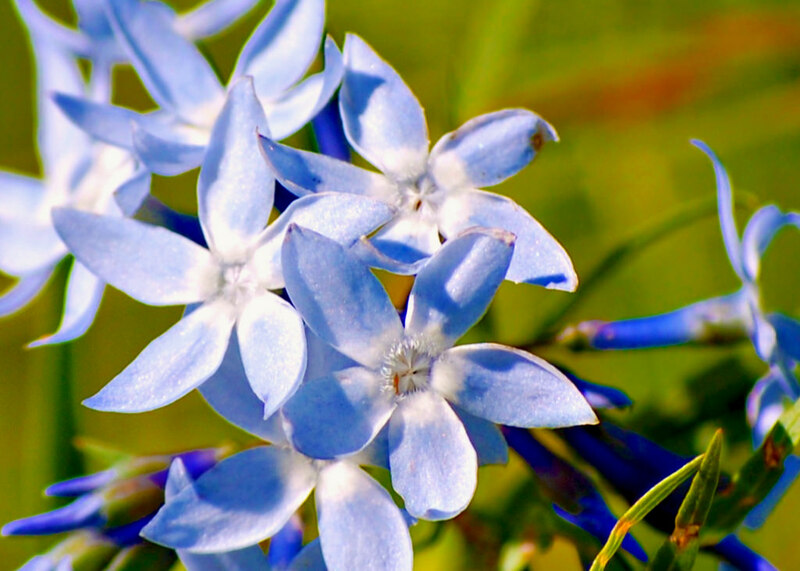 In May and June, Bluestars grow in clusters on 2 to 3 feet stems. They have feather-like foliage that adds a lovely element to the garden. In the fall, they turn a golden yellow. Overall, Bluestars are beautiful and should be in all gardens. A list of flowers that bloom all year isn’t complete with adding daffodils. As the earth warms, daffodils are some of the earliest blooming flowers. They are a sign that winter has ended and warmer weather is on the way. Gardeners must plant them late autumn to get an early spring growth. It is important to check for varieties that are more frost hardy for colder zones. Every garden needs a pop of white; it stands out against the green and other neon color flowers. Candytuft is an attractive perennial that grows well in zones 3 to 9; many gardeners can enjoy its beauty. In the spring, they bring a fluffy white flower to your garden. These clusters of white flowers bloom from early spring into summer. However, their evergreen leaves will grow year round. Candytuft is an excellent ground cover. They stand between 6 to 18 inches tall and can cover an area 24 inches wide. If you are interested in Candytuft but want color, check out Iberis Umbellata that come in pink, red and purple blooms. Autumn White is another variety that will bloom in the fall. If you typically grow geraniums in the summer, consider planting a few perennial varieties. You will get more blossoms and a longer growing season. They grow well in zones 3 to 8. 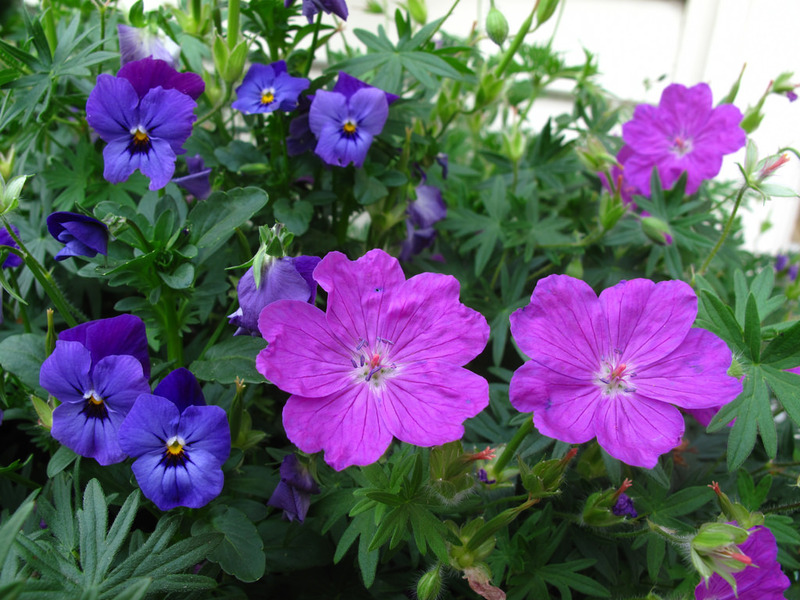 Geraniums come in a wide range of colors, from jewel tones to bright purple. They are the perfect way to add splashes of color. Your perennial geraniums can grow beautiful fall colors. Many will continue to grow throughout the winter. Some varieties are better suited for the cold than others. Many perennial geraniums grow around 18 inches tall and spread to 24 inches wide. Your garden needs a very early spring bloomer. Cinderella stock is just that, and it is frost tolerant. Their fragrance is sweet and has a spicy, close scent that is unique. Some gardeners add the flowers to salads or candied them. Cinderella stock will continue to bloom throughout the summer. If you live in a warmer region, you may get flowers all year round. To encourage more blooms, clip spent flower stalks. They are the ideal plant for borders or in pots. There aren’t too many flowers that bloom all year, but this is a species that is known to do just that. They come in a variety of colors and are a very attractive option for many gardeners. They are one of the easiest perennials to grow. Often called mums, they are a must have for all fall gardens and most front porches during the season leading up to winter. Chrysanthemums will grow and spread each year, so every three years you should divide and transplant to encourage maximum flowering. You have to take care of mums during the winter. Wetness and ice on the leaves can kill them, so you need to find a way to keep them dry and protected. If they are in pots, that is an easy task. In the ground, consider covering them with mulch and creating a drainage ditch alongside. If you are hoping for a low growing, hardy perennial that covers ground well, you must consider creeping phlox. It covers the area like a spring colored carpet in pastel hues. It is a great option for new gardeners! Creeping phlox can grow over rocky or tough soil with little trouble. Many gardeners place it between pavers. The flowers are very fragrant; you will notice hummingbirds and butterflies attracted to your garden more frequently. Creeping phlox only grows two to six inches tall and between 12 to 20 inches wide. You can find varieties from pale purple, white, red, and multi-colored. They begin to blossom in early spring and leave their beautiful evergreen foliage all year. If your goal is to have a garden that has flowers and blossoms all year round, you need a wide selection of flowers. There are little options for flowers that bloom all year because most cannot withstand the heat of summer, the frost and watering plan. The best solution for a gardener is to include varieties for every season, along with attractive foliage. Doing so creates a garden that changes its appearance each season and will have something to look at each season. Even if you live in a cold region, you can find lovely plants to grow all year.